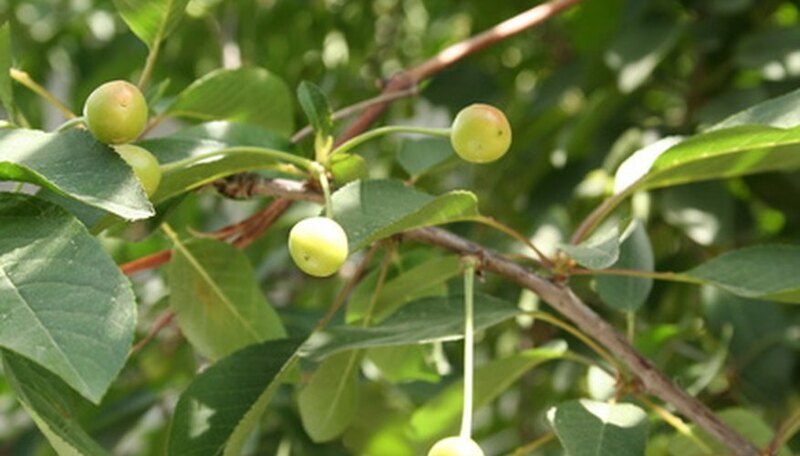 Learning to identify fruit trees by their leaves can help you determine what you've got growing in your yard before the fruits develop, and to note fruit trees around your neighborhood, so you can harvest extra fruit when it ripens. 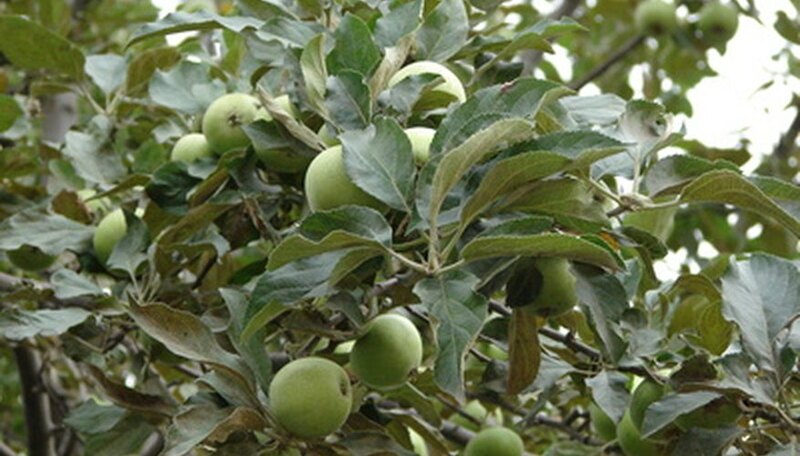 While fruit trees leaves can initially be challenging to identify without developing fruit to confirm your suspicions, small details set each type of common fruit tree leaves apart. Over time, you'll learn to tell the difference quickly and accurately. Note fat ovoid leaves that are deep green to olive-green in color and have teeth along the edges--not especially deep teeth but noticeable. These are apple leaves. They have a greenish-silver tint on the underside and feel rough and hairy. Check the veins on the leaf. If they are close together and the leaf is bright green rather than dark green, you have a cherry tree. Cherry tree leaves also have teeth and are fat ovoid in shape. They average 2 to 6 inches long and are alternately arranged on the stem for a staggered appearance. Observe trees with elongated, skinny ovoid leaves ranging 3 to 6 inches in length. 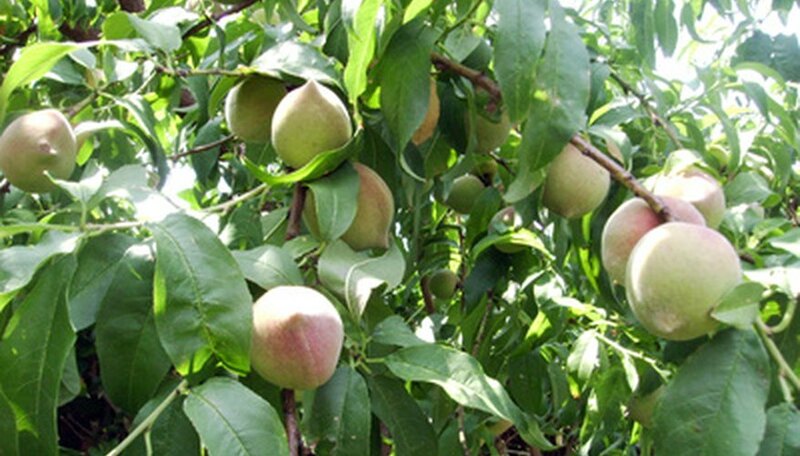 If the leaves curl inward (so they form a V shape) and fold downward, they are peach or nectarine tree leaves. Peach leaves have a slightly bitter fragrance that you can detect when you crush them in your hand. If you find a tree with skinny ovoid leaves that are shorter--1 to 4 inches long--and do not curl distinctively, it is likely a pear tree. Notice whether there appears to be another round leaf at the base of the leaf, just before the stem. 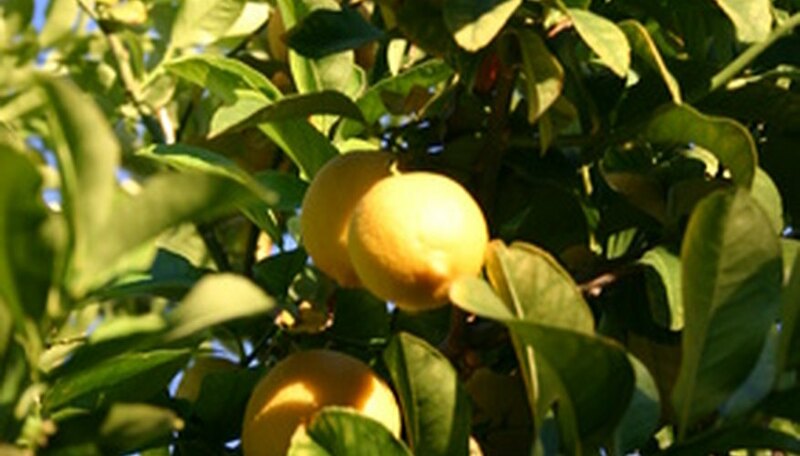 This extra growth--known as a petiole--indicates that you've found a citrus tree. In general, grapefruit leaves are dark green and glossy. They have large petioles. Lemon and orange leaves are both thinner and lighter in color, but you can still see the winged petiole.